In providing protection from the weather, one of the principal functions of a roof is to shed water efficiently. This efficiency can be substantially reduced by the presence of moss and tree debris on the roof surface, in the gutters and valleys (the area between differing roof profiles). 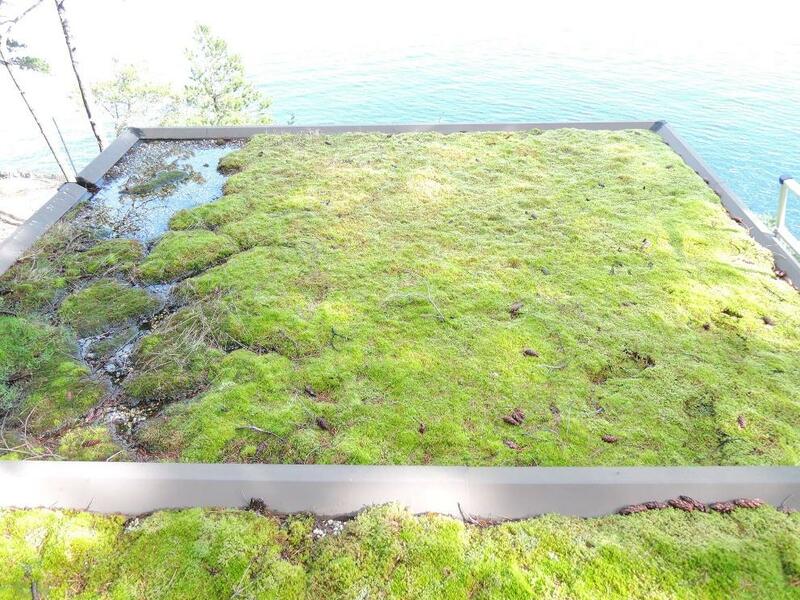 Moss is a plant that rests on the roof surface and can retain water. This can lead to premature deterioration of the roof surface. Removal of moss growth is dependent on a number of factors such as the amount present, how long it has been there, and the roof type. It is recommended to check your roof frequently, especially after storms and heavy weather and more frequently if you have trees near to your house. Tree debris consists of leaves, fir and pine tree needles and branches that can usually be removed by hand. Removing moss and debris from the roof, valleys, skylight flashings and gutters should be considered a routine maintenance task. Pressure washers should be used cautiously as if the pressure is set too high, the cleaning process can damage the roof. 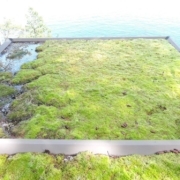 With this in mind, and considering roofs with heavy moss growth, I would recommend consulting a house exterior cleaning (detailing) contractor to assess the best method of removal. Tree branches that physically come into contact with any roof can quickly deteriorate the roof surface. When blown in the wind, the branches in contact with the roof act as an abrasive. Trees also can shade the roof and prevent it from drying. Additionally, tree branches provide an access roof for wildlife, such as rodents (rats & squirrels) that may find access into your nice dry and warm attic. It is recommended that tree branches be trimmed back so that they don’t come into contact with the roof – please consult a certified arborist contractor before any work is undertaken. If you have any questions or need advice about debris on roofs, please do not hesitate to contact House Sound Home Inspection! Fast and solid inspection and detailed report. Good work. 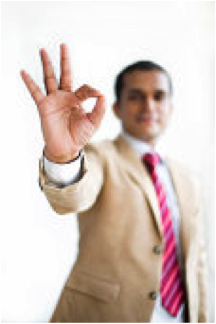 The report that Howe Sound Home Inspections gives is absolute first class. It contains vital information to making the huge decision of buying a home. Furthermore, this report acts as a comprehensive guide to making improvements and maintaining your home moving forward. The service is worth every penny. Thanks Mark for being so thorough and explaining everything! The report was great, lots of detail and links for relevant info. We highly recommend House sound inspections. Mark, thanks for doing such an excellent job with the inspection. The report was clear and comprehensive and supported by the walk around. It is always a relief to know that a large asset purchase such as a house has been given a thorough going over by an expert! Mark was absolutely great ! Buying a house is never an easy feat but we were far better informed after Mark's inspection. Friendly, helpful and extremely knowledgeable. We will certainly reach out for our next house inspection. Used House Sound Home Inspections on our house a few months back. Wrote a review then and am just following up. My brother is a builder in Australia and was blown away at the detail their report came in. Also had an issue with turning the old oil furnace on while out of province. Mark was so kind as to pop over and give us a hand with the issue a few months after the initial inspection. You don't find business' like this nowadays. Cannot recommend them enough.